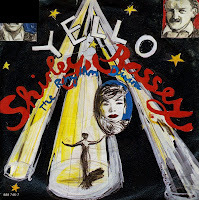 Written by Yello's Boris Blank and Dieter Meier with The Associates' Billy MacKenzie, 'The Rhythm Divine' was released in 1987 as a single by Yello with Shirley Bassey. It actually featured Billy MacKenzie on backing vocals. The song was said to have been written specially with her voice in mind. 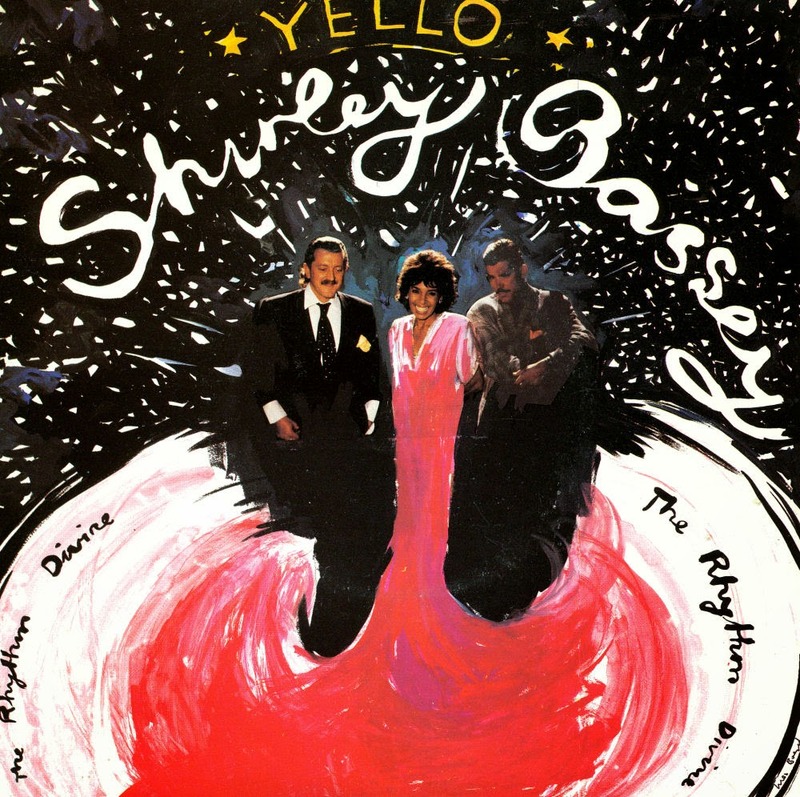 Bassey's vocals were recorded at Yello's studio in Zurich. The song blends the electro-pop sound of the 1980s with a classic big Bassey ballad. It reached number 54 in the UK singles chart, number 24 in the Netherlands and number 21 in Switzerland. At only twelve, I was getting into electronic music really fast. I was aided somewhat by my sister, who is six years older than me and was already buying loads of singles. 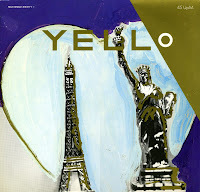 That is how I heard 'Lost again' (1983) by Yello, a mysterious-sounding track that, although it did not chart, ended up high in my personal top 100. As I grew older, I had trouble finding the single. I was jealous as hell when my sister came home in 1985 with a double single of this track - but fortunately, she was willing to part with her original copy, and so I ended up owning this single anyway. The lyric of 'The rhythm divine' was written by Billy MacKenzie, from the Associates. 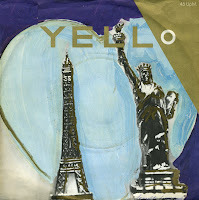 No wonder, then, that it stands out from Yello's repertoire as a more melodic and passionate song. The lead vocals were performed by Shirley Bassey, which made the track even more memorable. I got the single as a birthday present from my sister in August 1987. Not long after that the cd-single became the third cd-single I ever bought. The Swiss group Yello consisted of Dieter Meier, Boris Blank and Carlos Perón when they released their first few singles. 'Bostich', released in 1980 was their debut. In 1983 they received lots of media attention on the back of their hit singles 'I love you' and 'Lost again'. Their electronica-influenced music didn't appeal to me at all, but the strange atmosphere in 'Lost again' caught my attention nonetheless. I grew to like this track, and sure enough, I ended up buying the 12" single years after it was released. The B-side, which includes the two earlier singles was less appealing, but the extended version of 'Lost again' is certainly worth a spin.